Can't seem to think about what tattoo to get next? How about the starry and complex design of constellations? It can work on any part of your body and can either be simple + tiny or bold + colorful! It's always a good idea to add a personal touch, like your lucky number, to make it even more unique! Add a colorful planet to make your ink pop. Maximize the space at the back of your body by scattering constellations to the area. ICYDK, your constellation design doesn't have to be scattered with stars. You can add different icons like hearts, flowers, and other shapes, too! Your wrist will have enough space for all the stars to form and look vibrant. This proves playing with outlines and constellation patterns can look gorgeous, too! 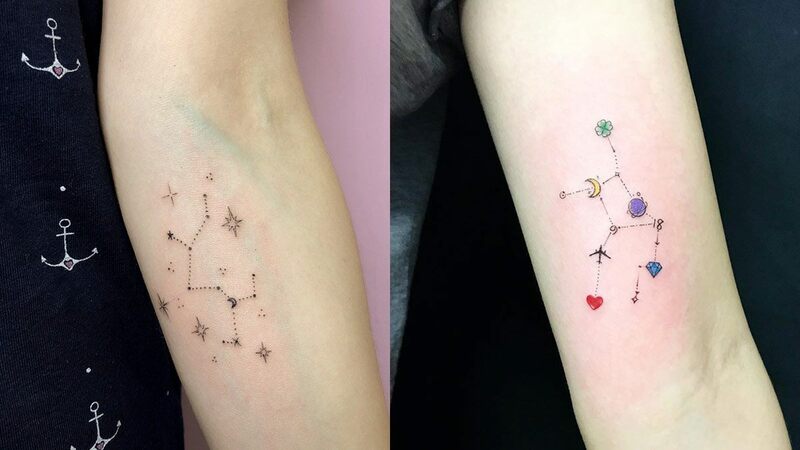 You can even be creative with your constellation and not place all the stars in just one area! We all know that sometimes, with tattoos, ~less is more~. Getting it on your chest area is perfect if you love wearing off-the-shoulder tops. Doesn't the constellation just make you feel like you can fly? If you're keeping your tat a secret from some people, the back of the neck is always a great idea!